What Is the Purpose of the Double Vertical Storage Racking? This racking makes the job of long item storage much easier. 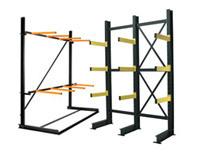 It facilitates the storage and access of items upwards of 5m in length without the use of messy racks or jumbled piles. You can now see the lengths that are available at a glance. You can even categorize and store the lengths according to their dimensions. 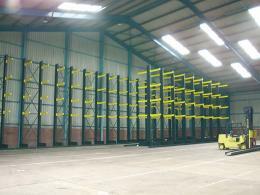 The double vertical storage racking can be used on both sides so aisles of lengths can be created. With access to both sides, you can now store an incredible amount of goods in a simple and convenient way. It makes the whole process of inventory and stock much easier to manage and control. 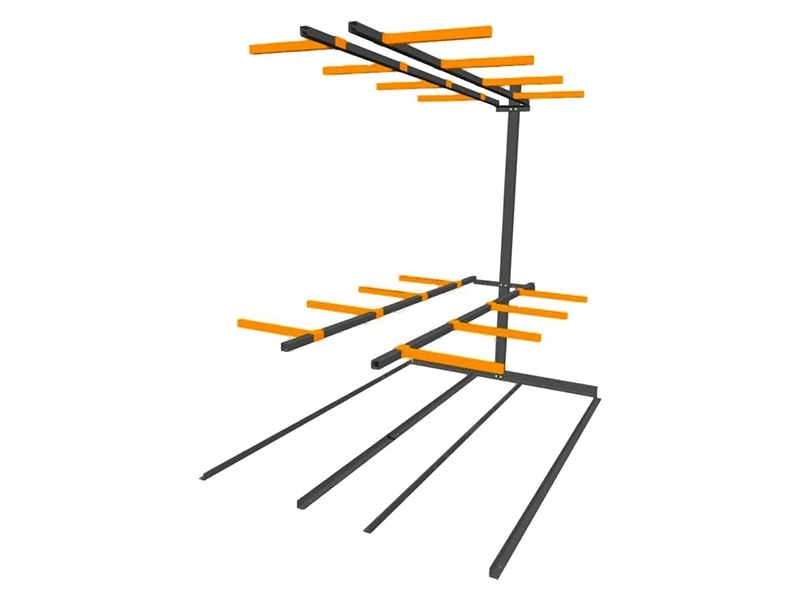 Each rack is designed to hold up to 1000kg per lineal meter. You can join multiple racks together to form entire storage systems for easy use. Each of the two supporting beams comes with 4 arms to support the lengths in storage so there can be no risk of collapses or accidents. Warehouses that need to store multiple lengths of goods will find this useful. As long as you have the height in your facility, this is a great way to organize the stock you have. The double storage means that you can create two storage areas on both sides of the racking. You’ll also find this to be useful in electrical supply stores, roofing stores, timber yards and plumbing supply stores. Any tradie that needs a way to store their long lengths of piping or conduit will appreciate the storage facility. No forklift is needed to store multiple lengths so anybody can access the goods. Customers enjoy the freedom of seeing the entire length at a glance. It means that they can make an informed choice without needing to mess up your display or rummage through messy piles of items. Starter bays start at 2000mm (H) x 1660mm and go up to 5000mm x 2785mm. See the entire catalogue online for the list of dimensions and sizes available. 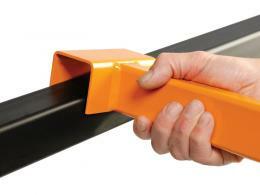 Extensions and starters are all boltless construction from steel. Easy assembly using no special tools. 1000kg capacity for lineal meter. 1 year warranty on all parts and labour from the date of sale. Yet another benefit of choosing Workplace Depot for your storage needs.